Blurb from the U.S. Army’s THE BIG PICTURE television series, 1950-1975. A remarkable and informative biography comes to the screen in “The General Patton Story” as narrated by Ronald Reagan and produced by the Army Pictorial Center. Here is a story of a soldier who lived for action and glory and reached the heights in serving his country. This is a page from contemporary history devoted to the life of General George S. Patton, Jr., whose Third Army swept across the continent of Europe. It is a mirror reflecting Patton’s major principle for fighting battles or a war–attack, attack and, when in doubt–attack again. 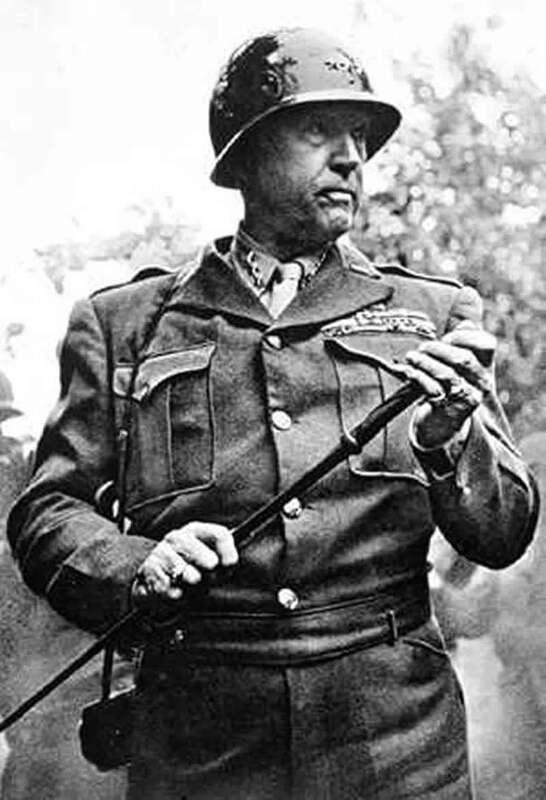 On a strictly visual appraisal, the choice combat footage of General Patton presents an insight into the character of the man. No American leader was more colorful and more successful, stepping forth like some warrior of old–to lead and inspire vast forces of men. While the basic elements of “The General Patton Story” are combat sequences, the film documentary delves into the General’s life with such intimate details as his inability to spell, although a model cadet at West Point. A believer in showmanship, he was aware that if the act could not be carried off in fine style, the men would see through it. Always the “old man” pushed his men harder than anyone had pushed them before. Always the results were more than they might have expected. For a commander who was so obviously a winner–they would do the impossible. Patton is a study in duty, patriotism and loyalty.